I have excel file, in first row of the file, it contains heading like "Department-Food" or "Department-Clothes", I need to read file only if it is "Department-Food" in tMap. if it is not "Department-Food" than the flow should break. My requirement is, in tMap if the file is wrong file than nothing should be recorded in tFlowMeter not even "0", the flow should bread at tMap itself. You can use " RunIf " trigger to control your work flow. 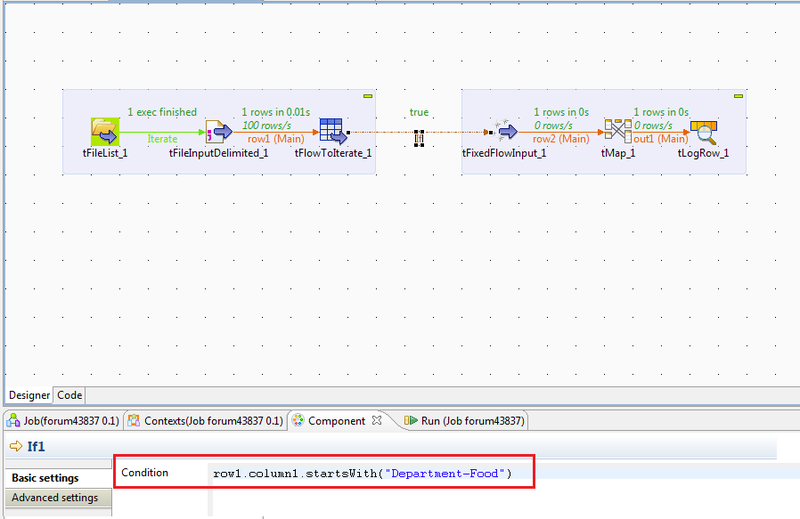 Set a condition according to your requirment in "If" link.